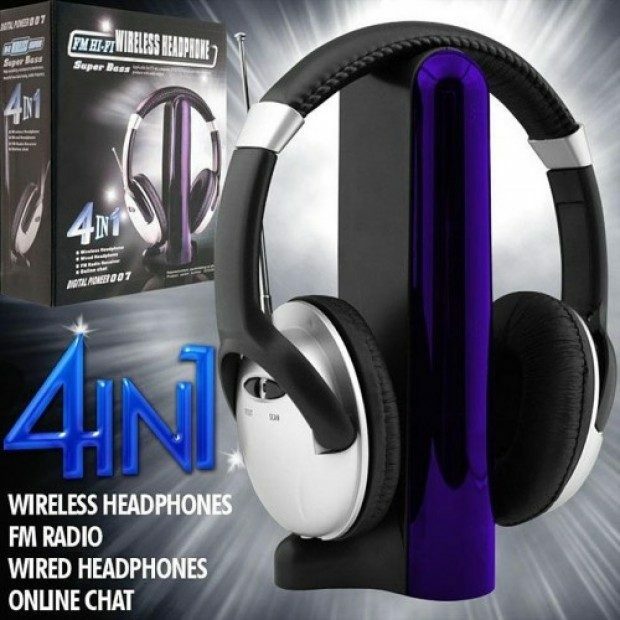 SoundLogic 4-in-1 Wireless Headphones Only $13.99 Plus FREE Shipping! You are here: Home / Great Deals / SoundLogic 4-in-1 Wireless Headphones Only $13.99 Plus FREE Shipping! Put a stop to the noise battle! You want to watch TV in bed while your significant other sleeps or he wants to watch the game but you want to read. Now you can both be happy with the SoundLogic 4-in-1 Wireless Headphones for Only $13.99 Plus FREE Shipping! These wireless headphones are packed with features and work up to 30 feet away from their receiver! They include an Online Chat feature that allows you to chat on your computer with the included wired microphone. Receive wireless signals from your TV, CD, MP3 player or computer by connecting one of these devices to the wireless transmitter via the included RCA cables!